It seems 'He who must not be named' has never really been named at all. Harry Potter creator and author J.K. Rowling has shared an interesting note with fans today. It seems everyone, including some cast members in the previous 8 movies, have been saying the name of her main villain wrong. Yes, only a very select few know how to properly pronounce Lord Voldemort's name. The whole notion came from a Harry Potter fan on Twitter, who observed that there is an important piece of trivia that never gets mentioned. It's the fact that the 'T' at the end of Voldemort is silent. J.K. Rowling was quick to respond, saying the following. "...I'm pretty sure I'm the only person who pronounces it that way." Voldemort is actually a French word, with a silent T. The true meaning of the villain's name is 'Flight of Death'. Back in 2009, J.K. Rowling's apologized for naming the character something so hideous. But you have to admit, it does have a nice ring to it. She would later thank her French readers for not resenting, instead embracing, her choice. She says there was never any intention to promote anti-French rhetoric in her writings. 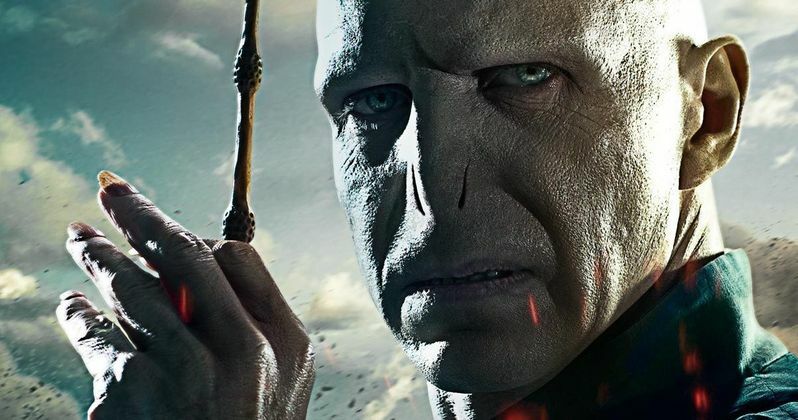 While some of the Harry Potter cast do pronounce Voldemort with a hard T, Jim Dale was sure to pronounce the villain's name the right way in the first two audiobooks that were released prior to Harry Potter and the Sorcerer's Stone in 2001. But then, director Chris Columbus sent everyone down a dark path of bad French pronunciation. And the following audiobooks also pronounced the evil wizard's name with a hard T. So, if you've been doing it wrong this whole time, don't feel too bad. Most fans have. Voldemort made his first appearance in Harry Potter and the Philosopher's Stone, which was published in 1997. He goes onto appear either in person or in flashbacks in each book and film adaptation in the whole series, except the third, Harry Potter and the Prisoner of Azkaban, where he is only mentioned. In the series, Voldemort is the archenemy of Harry Potter, who according to a prophecy has "the power to vanquish the Dark Lord". Almost no witch or wizard dares to speak his name, instead referring to him by epithets such as "You-Know-Who", "He-Who-Must-Not-Be-Named" or "the Dark Lord". Voldemort's obsession with blood purity signifies his aim to rid the wizarding world of Muggle (non-magical) heritage and to conquer both worlds, Muggle and wizarding, to achieve pure-blood dominance. Through his mother's family, he is the last descendant of wizard Salazar Slytherin, one of the four founders of Hogwarts School of Witchcraft and Wizardry. He is the leader of the Death Eaters, a group of evil wizards and witches dedicated to ridding the Wizarding World of Muggles and establishing Voldemort as its supreme ruler. Take a look at J.K. Rowling's corrective tweet. Have you been saying it wrong this whole time?